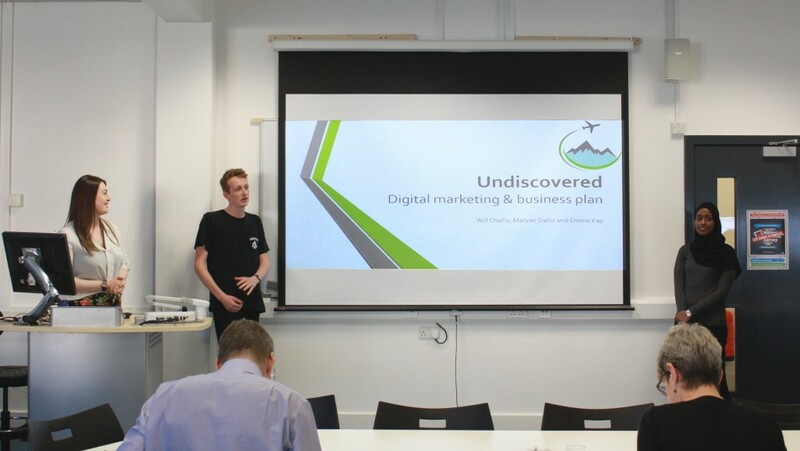 Eight teams from the University of Brighton Business School recently competed for a cash prize in a Dragons’ Den style competition. 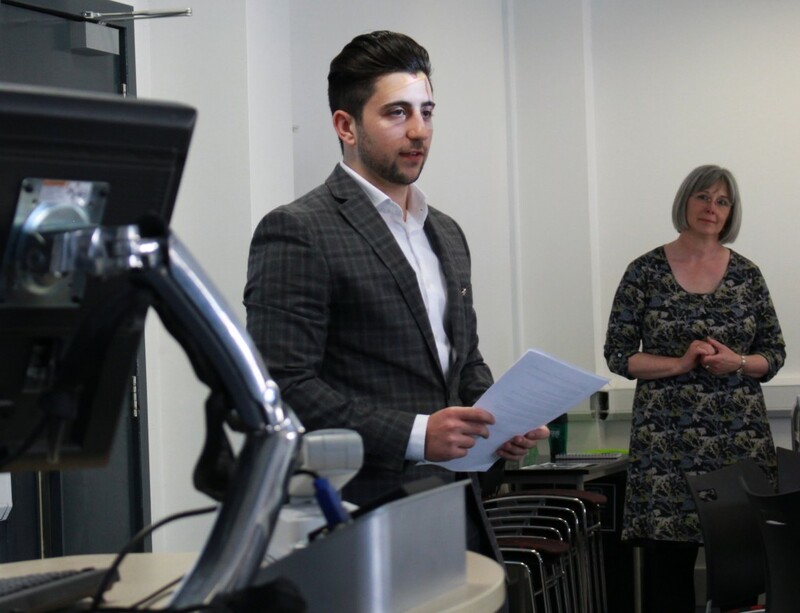 Our students were shortlisted from 77 teams and given the opportunity to present their ideas for a new mobile app as part of the Enterprise Rent-A-Car sponsored Business Project Showcase. Teams worked hard for several months to put together a pitch outlining their business idea, financial forecasts and marketing strategies. The Judging Panel consisted of; Susan Trapp, Head of Process Services for 1E; Daniel Mousavi, our own graduate entrepreneur and founder of Clickcleanclothes.co.uk; Dr Steven Hogan, Head of Undergraduates for Brighton Business School; Dr Clifford Conway, Principal Lecturer of Marketing and Entrepreneurship at Brighton Business School and Nicola Ashton, Alumni Engagement Officer for the University of Brighton. The event was a huge success with the judges selecting ‘Undiscovered’ as overall winner. This travel app meets social networking site allows users on their gap year travels to connect to local recommendations of things to do and places to see. The app also encourages users to upload their own pictures of ‘undiscovered’ locations that would be pinned to a map for other budding explorers to visit. In second and third place respectively were Unifood, a healthy cooking app and customisable recipe database aimed at students, and Reach, a social network aimed at providing support and companionship to people experiencing specific illnesses and disabilities. For further information regarding this year’s Business Project Showcase or to find out more about similar events planned in the future, please contact Clare Millington on C.E.Millington@brighton.ac.uk. Tagged Business Project Showcase, Competition, Dragons’ Den, Entrepreneurial. Bookmark the permalink.